Jurgen Klopp has named Divock Origi in his starting line-up for the second leg of Liverpool's Champions League quarter-final against Porto, with Roberto Firmino dropping to the bench. It is Origi's first start in the competition since he joined the club and his fifth of the season in all competitions, with Klopp opting to give first-choice striker Firmino a rest as the Reds take a 2-0 lead to Estadio do Dragao. Elsewhere in the team, James Milner starts alongside Fabinho and Georginio Wijnaldum in midfield, with Jordan Henderson among the substitutes, and Joel Matip keeps his place alongside Virgil van Dijk in the centre of defence. 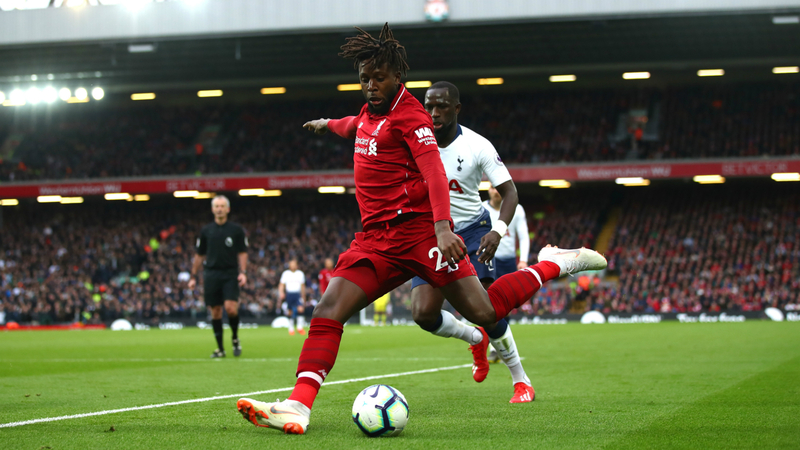 Klopp told BT Sport that the decision to include Origi was not due to any concerns over Firmino's fitness, saying: "No issue, actually – just respecting the fantastic form Divock Origi is in for weeks or months already, and bringing in fresh legs. "That's all, the same we do in midfield because we expect a very intense game, we expect a hard-fighting Porto side. So we need to be ready for that. "Of course Bobby is ready for that but because he never gives himself a rest, from time to time we have to do it. But it's not a rest actually, it’s bringing in Div and having that option: speed and all that stuff. That's what we thought." Porto boss Sergio Conceicao has restored attacker Yacine Brahimi, who came off the bench at Anfield last week, to his starting line-up despite the Algeria international having failed to find the net in eight Champions League appearances this season.